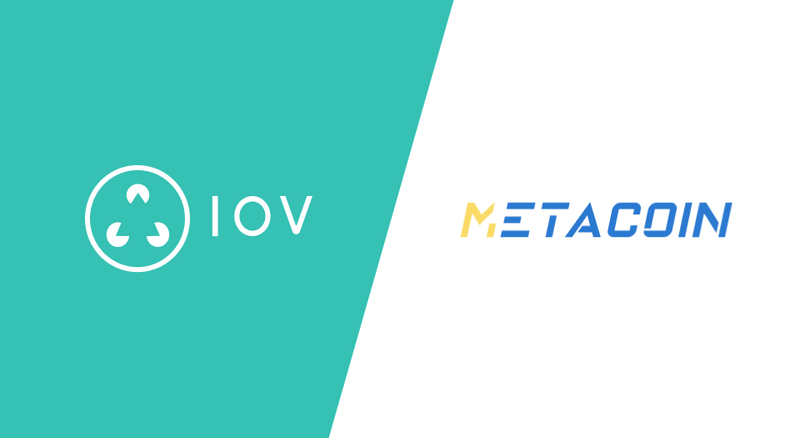 IOV is happy to announce a new partnership with Metacoin (metacoin.network), a Hyperledger based ecosystem built by INBLOCK (inblock.co). Metacoin is built using Hyperledger Fabric technology, an open source consortium blockchain project led by the Linux Foundation and supported by companies like IBM, Hitachi, and Intel. Metacoin will be included in IOV’s Blockchain Communication Protocol (BCP) ecosystem, connecting it with other blockchains such as Lisk and Ethereum using atomic swap technology. Projects in the Metacoin ecosystem will also be able to enjoy the benefits of IOV’s Blockchain Name Service (BNS), a DNS-like name registry for tokens, wallets, NFTs, and blockchains. The Metacoin ecosystem consists of the Metacoin Mainnet, the Metacoin Token, the Withbit Exchange, and dApps including the successful game BitPet and ParaDice.club, currently in beta. The Metacoin Token is the first cryptocurrency to launch on Hyperledger. Developers working on top of the Metacoin protocol can use mainstream programming languages such as Java, Go and Node.js to build smart contracts. Learn more about IOV by joining our Telegram or Twitter. Learn more about Metacoin and join their community.